The CAE Healthcare Academy has developed the first learning application to include diagnostic reports, images and movies (as well as lab results) to add heightened realism to simulation-based healthcare training scenarios involving emergency patient care and transport. Designed for use with CAE Healthcare patient simulators, the EMS VI module consists of ten new critical care transport scenarios, made in partnership with the Advanced Life Support Institute, WakeMed Center for Innovative Learning, and Fox Valley Technical College. EMS VI is the last module in the EMS learning series that provides graded learning and performance objectives spanning across all EMS provider levels as described in the National EMS Standards and Critical Care Transport Specialty disciplines. 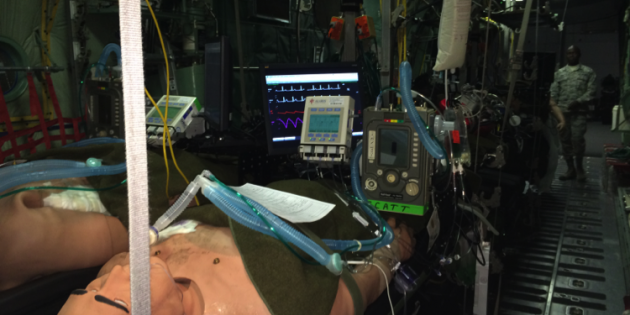 The CAE Healthcare Academy develops evidence-based simulation scenarios for nursing, critical care, tactical medical care, respiratory care, emergency medical services, pediatric emergencies and perioperative medicine. All scenarios include patient background, learning objectives, references, facilitator’s notes and equipment and supply lists. Learn more about CAE Healthcare's Critical Care Transport Simulation Scenarios! Read more about our learning applications by clicking here.